I was heartbroken to leave Petit Le Mans early - it was more than just the final race of the season: it was the last ALMS race ever, and BMW was holding strong. It felt as though I was witnessing a spectacle I'd get the chance to remember and reflect on later, when, twenty years from now, we discuss ALMS in the same light we discuss '80s IMSA racing today. However, the disappointment was overshadowed by the excitement for the intensity that lie ahead. 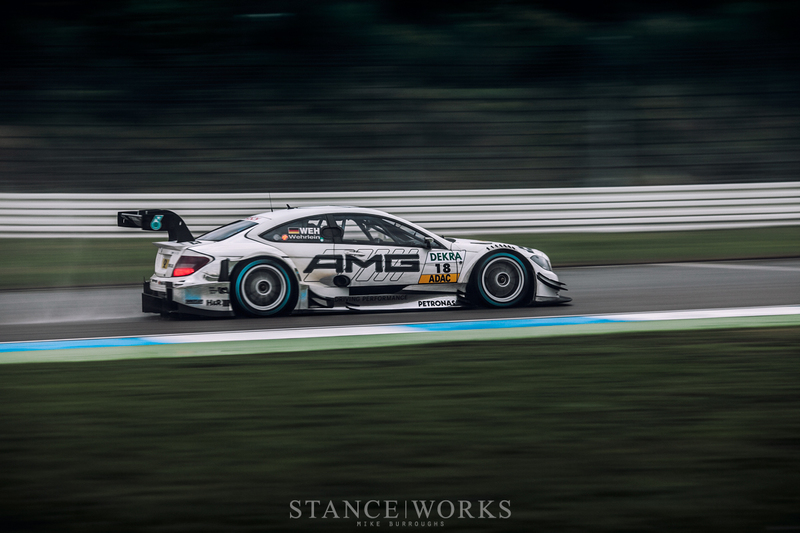 Our plane touched down at the Frankfurt International Airport, our passports were stamped, and we stormed down the autobahn toward Hockenheim for the final race of the 2013 DTM season. 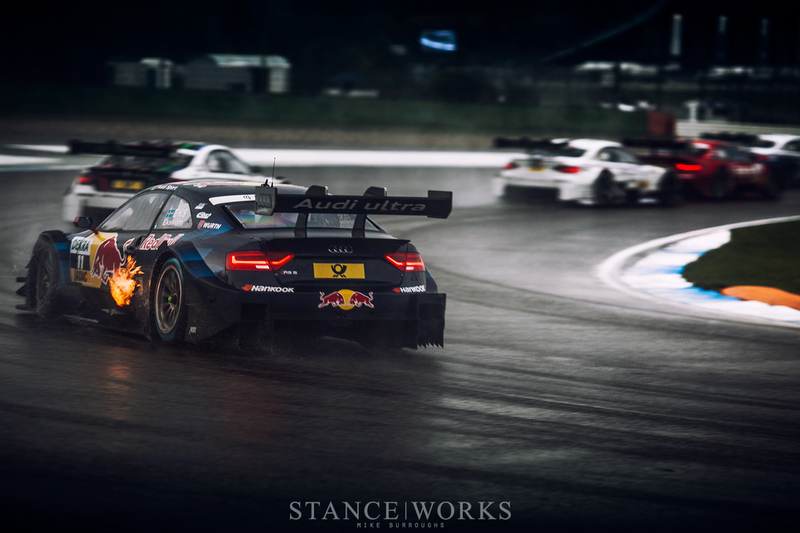 The rainfall at the Hockenheim circuit only served to make Road Atlanta seem pleasant. Crowds of people moved about, shuffling in an attempt to stay under their sea of colored umbrellas. Their wavering footsteps splashed in the water that had collected on the asphalt below them. It was only moments before my clothes and equipment were waterlogged, but I couldn't help but grin with excitement. 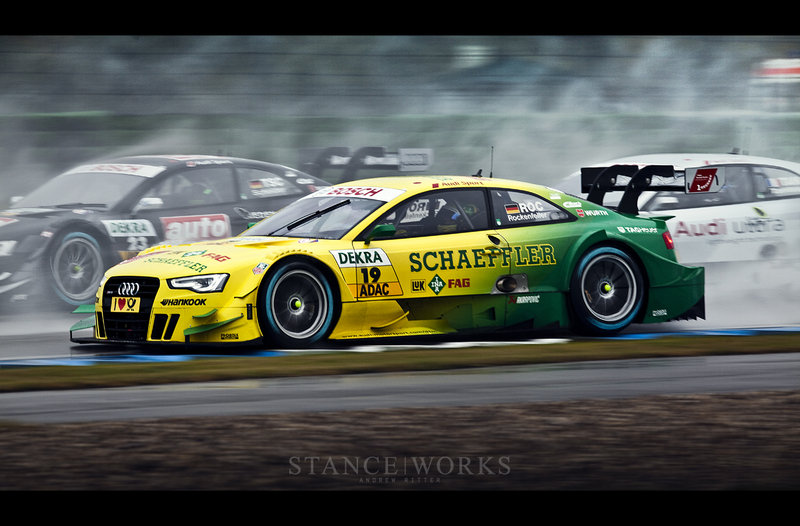 The DTM series - Deutsche Tourenwagen Meisterschaft, or German Touring Car Championship - has been one I've held in higher regard than any other. Where others find ecstasy and elation in the screams of Formula One, nothing stands higher than the legendary silhouette series for me. 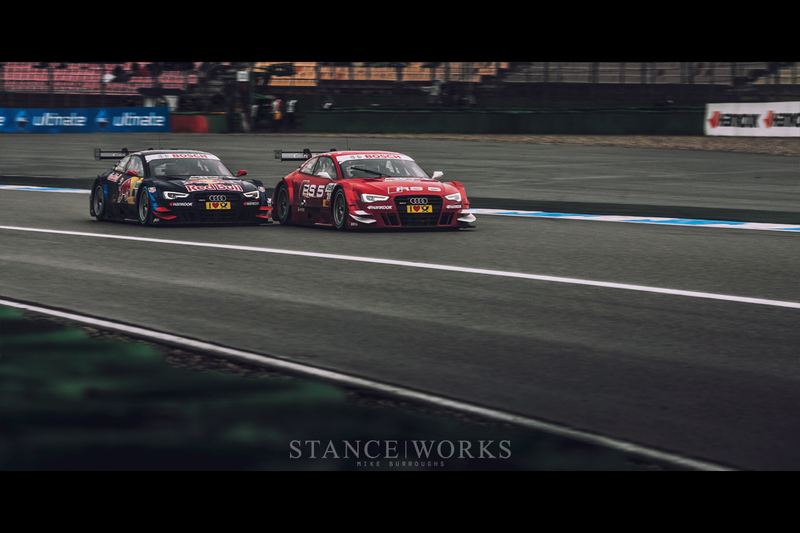 It was in 1984 that the essence of the DTM was born: the "Deutsche Produktionswagen Meisterschaft" (German Production Car Championship) was the working title for the first two seasons, which operated under FIA Group A rules. 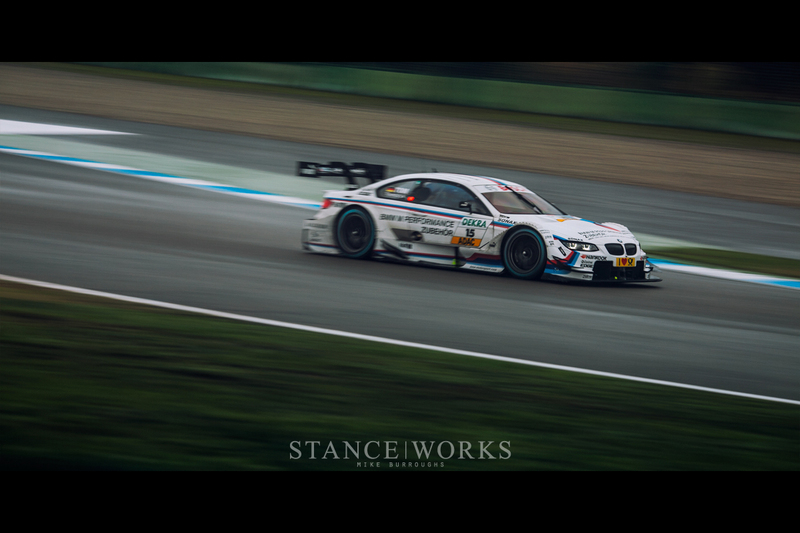 The first race was held in Zolder on March 11th, and it was here that BMW set the standard. BMW driver Harald Grohs took the win, with fellow BMW drivers following behind him in second, third, and fourth place. It was in this inaugural year that BMW claimed the championship: driver Volker Stycek piloted his GUBIN-liveried BMW 635CSi to an eventual win, making BMW the team to beat. Following their championship-winning 1983 Formula One season, BMW was on a serious roll. 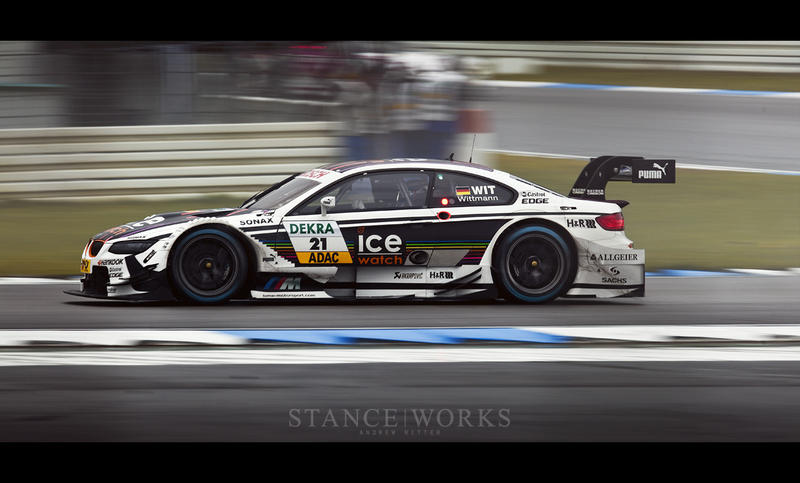 However, the 635CSi is hardly the car for which BMW is known when it comes to DTM. Instead, one name reigns above all others - the E30 M3. In a monumental display of power, BMW took the championship again in 1987 - the M3's first year of racing - a milestone that foreshadowed events 25 years later. The iconic little M was seemingly unstoppable, in its first year also amassing overall victories in the European Touring Car Championship, the World Touring Car Championship, the Italia Superturismo Championship, and the Australian Touring Car Championship. It was again in 1989 that BMW and the M3 won the DTM championship, this time by the hands of the renowned Roberto Ravaglia. BMW continued racing all the way through 1992, where, at the Hockenheim season finale, Ravaglia scored a victory at BMW's final DTM race. By then, the M3 had tallied an unbelievable 151 podium finishes, with 40 wins in all. 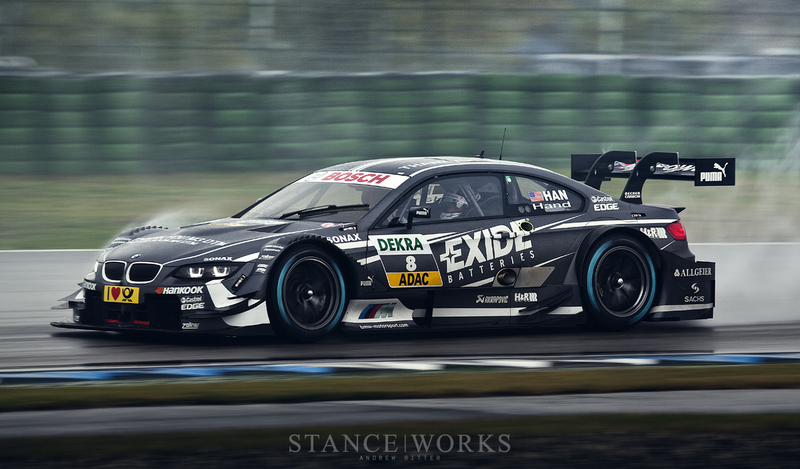 And with that, BMW retired from DTM. 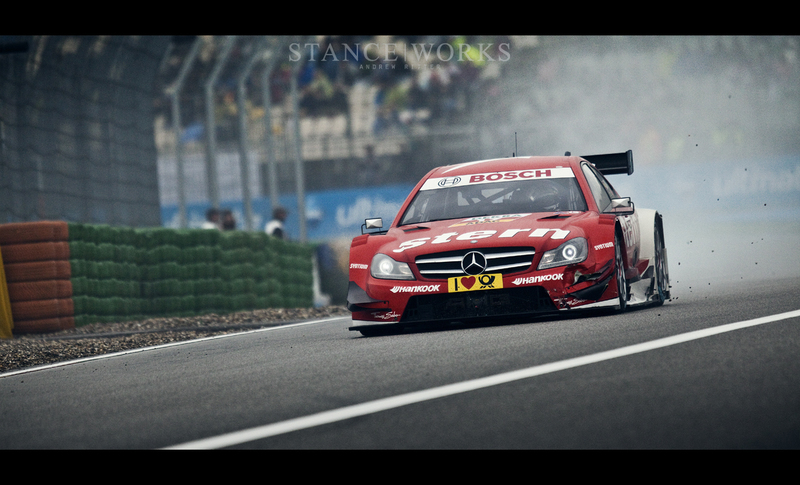 It's hard to truly explain what makes DTM racing stand out for me. For the early years, it's undoubtedly due to what I consider BMW's greatest era of design - my affinity for cars like the E28, E24, and E30 - combined with the celebration of undeniable successes. 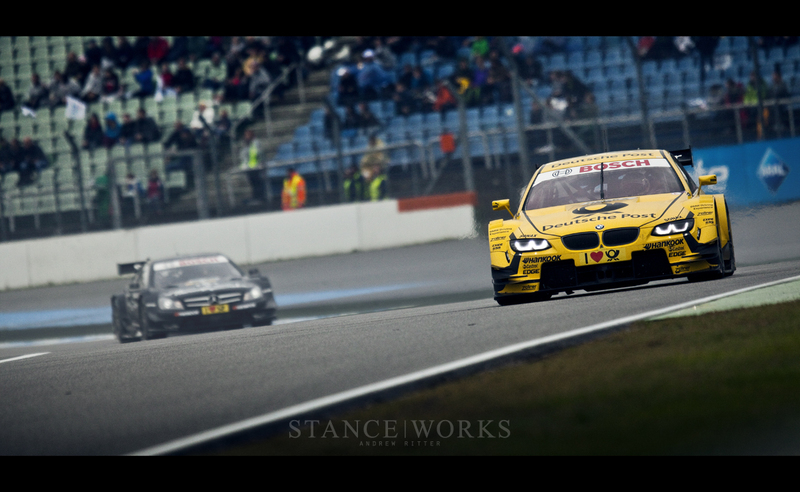 I'm drawn to BMW for their unbridled and unrivaled racing heritage, and DTM is, by any count, the perfect embodiment. The touring cars' iconic liveries ranged from Motorsport colors to a mess of Tic-Tacs, from Jagermeister orange to bold Bastos red, and each one continues to endure the test of time. These cars are, in my eyes, some of BMW's finest, and the catalogue of trophies, plaques, and cups reaffirm that feeling. 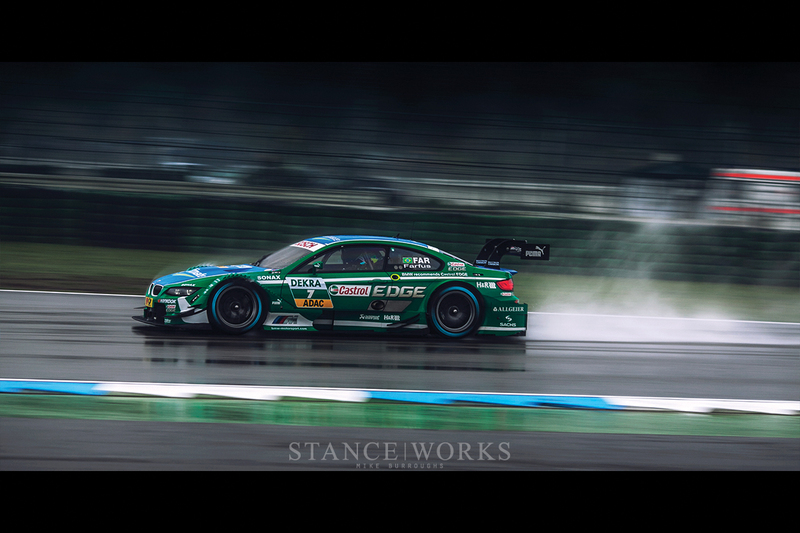 Perhaps part of what made BMW's DTM past so special was its very nature: antiquity- gone forever - a saga left to revel in its own triumphs, only to be idolized and remembered by those lucky enough encounter it in the history books or to have seen it in person. I was three years old when BMW retired from DTM; hardly old enough to say "Deutsche Tourenwagen Meisterschaft," let alone understand it. It wasn't until many years later, after my infatuation for the BMW marque had grown, that I learned of the legendary series. I idolized these machines with an understanding that they were, realistically, an extinct species. At least at the time. 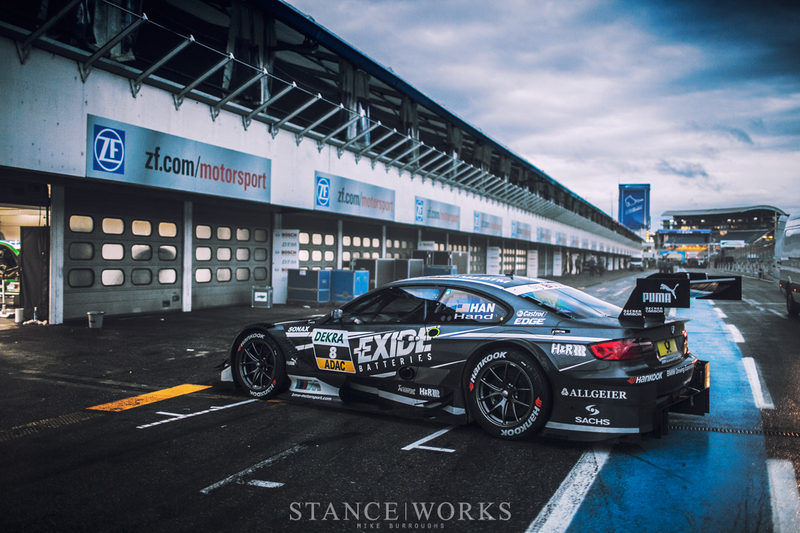 After a twenty-year hiatus, BMW and the M3 returned to DTM; this time, bigger and better than ever. 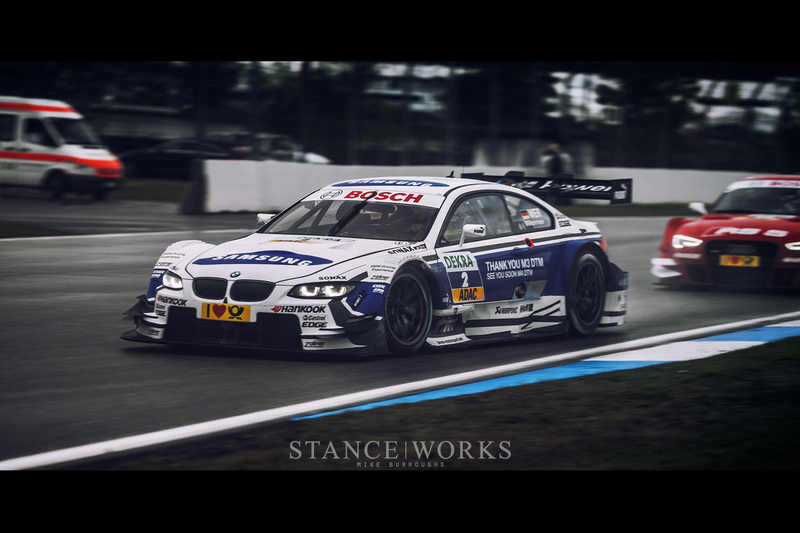 The all-new "M3 DTM" pushed the essence of the flagship sportscar to entirely new realms of technology. DTM is aptly titled a "silhouette" series for the simple fact that these machines are built to bear an ostensible resemblance to their road-going equivalents. Their lines and profiles similar in form, accentuated by necessary yet radical changes to aerodynamics and fundamental functionality. Underneath their familiar shells lies a chassis more akin to a Formula One racer than its own flesh and blood. The M3 DTM is, simply put, the M3 incarnate. 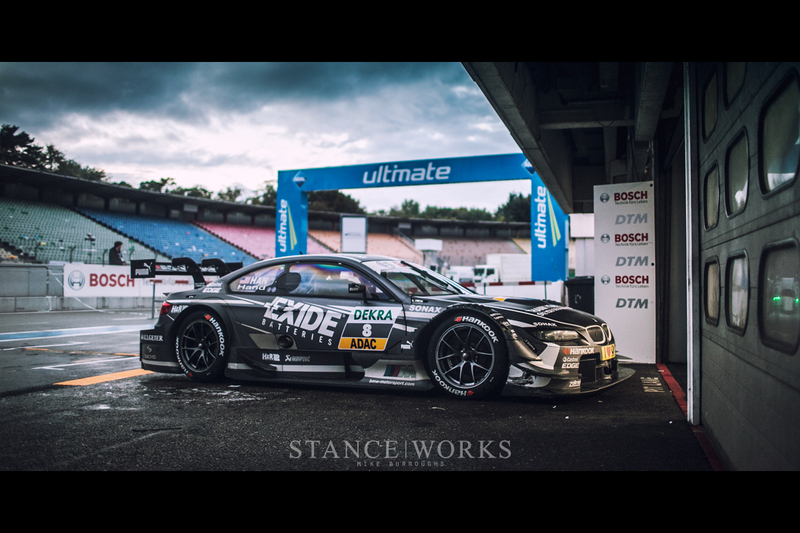 The M3 DTM, along with the competition, is built around a carbon fiber monococque chassis. Each car is custom-tailored to its one-and-only driver, whom is isolated by a steel roll cage and surrounding carbon fiber crash elements. Each car is incredibly similar yet entirely unique, down to the smallest details which are configured specifically to each driver's wants, needs, and requests. Under the hood, yet always covered is a 90-degree naturally-aspirated 4.0-liter dual-overhead-cam V8 with four vales per cylinder. Bosch MS 5.1 management gives life to the beast, while a pair of 28mm air restrictors keep it from getting too carried away. A sequential 6-speed tramission with pneumatic shift paddles mounts directly to the monocoque, and pipes the power through a 4-plate ZF Sachs carbon-fiber clutch and out through an adjustable multi-disc limited-slip differential. 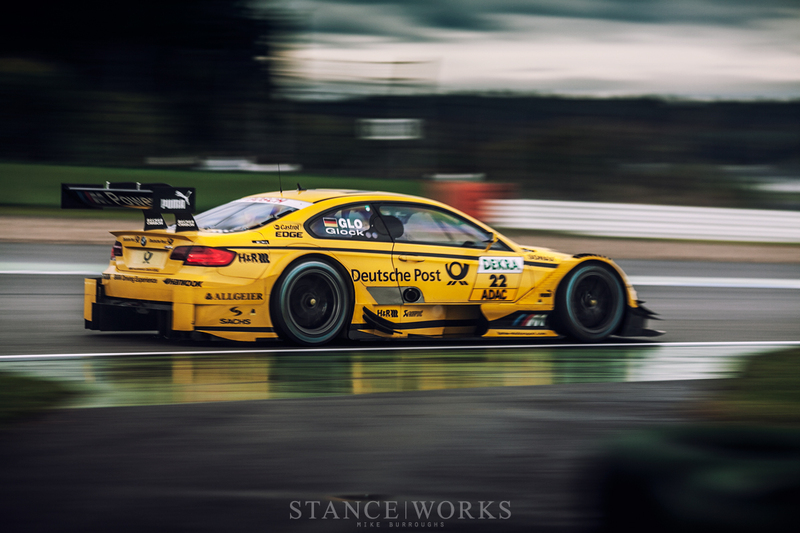 The M3 DTM pushes out nearly 500 horsepower, which is planted through a set of forged 18x13" rear wheels. Behind them, a hydraulic dual-cirlce brakes system utilizes monoblock alloy calipers and inner-ventilated brake discs. Double-wishbones with pushrods, adjustable shock absorbers, and H&R coil springs keep the machine well-planted. The fuel tank capacity is just 120 liters, which is integrated into the carbon chassis - and loaded up, including the driver, the entire car weighs in at a featherweight 2500 pounds. To put it lightly, BMW returned with serious firepower and ready to fight. 25 years ago, the M3 was introduced to DTM, and went home at the end of the season with a championship under its belt. Now, a quarter-century later, BMW has done it again. 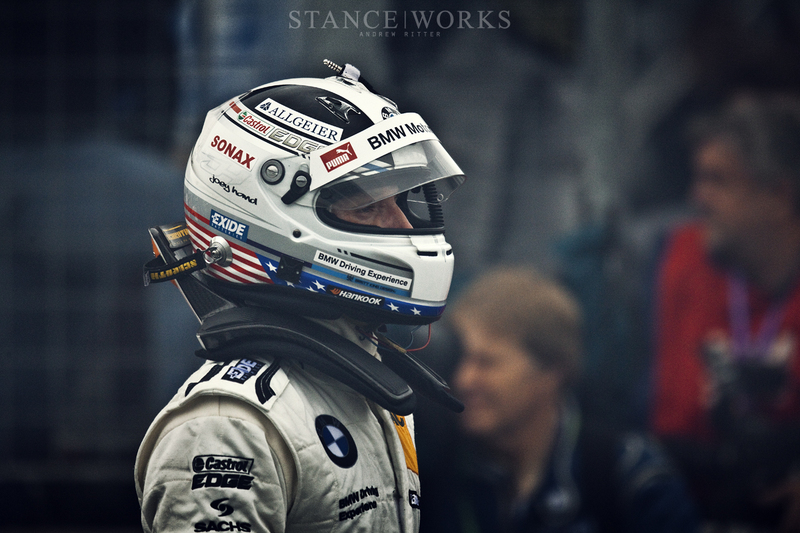 2012 marked a triumphant return, with BMW capturing the Driver's, Team, and Manufacturers title in a full-sweep. 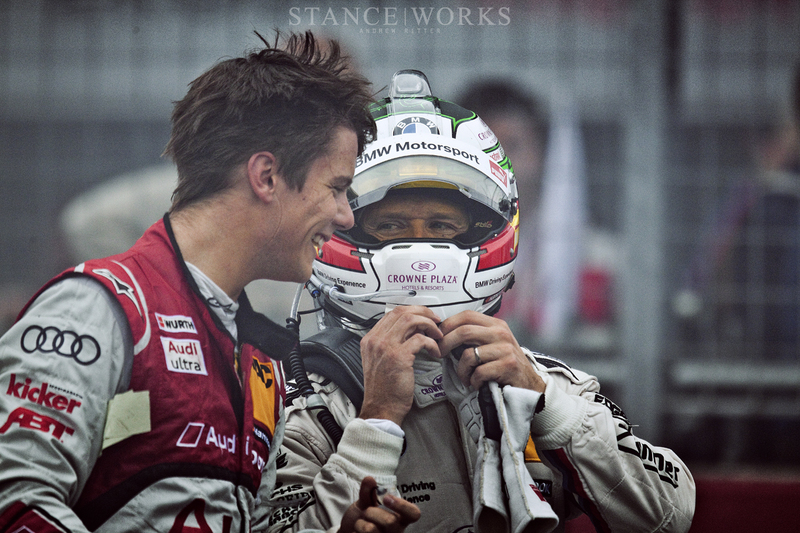 Which brings us back to Hockenheim. The 2013 season is at its close, with just one remaining race - the season finale at the Hockenheimring. The driver's championship had already been claimed by Mike Rockenfeller of Audi, but more important to BMW was the manufacturer's championship, for which they were still in contention. Andrew and I worked our way through the rain and crowds to grab our media vests and credentials. We studied the track map and made quick decisions of where we'd like to be: the race was just an hour long, leaving no time for guesswork. We were 6,000 miles from home and there were no second chances. Just an hour remained before the final race began. 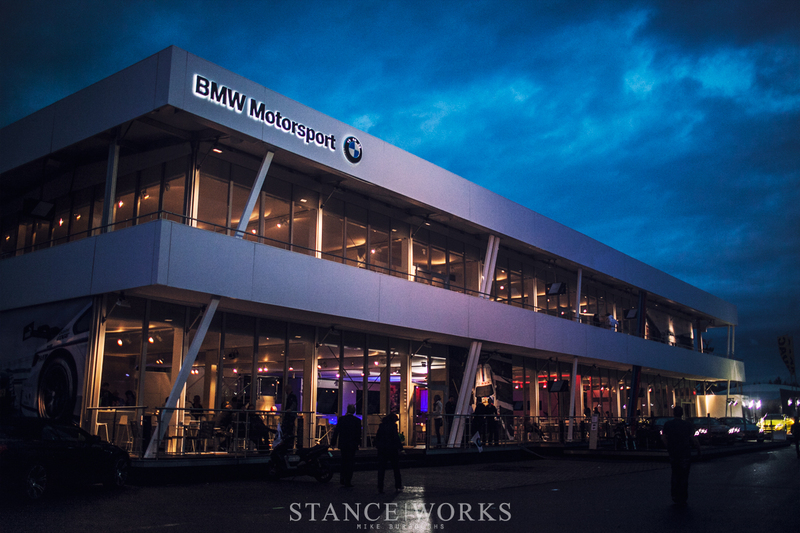 Andrew and I explored the infield, awestruck at the impressive hospitality suite BMW had erected for the event. Each of the teams had brought their own - not only to this race, but to each, leaving me with a sense of astonishment. This surpassed any racing experience I had ever had. Not even Formula One competes. 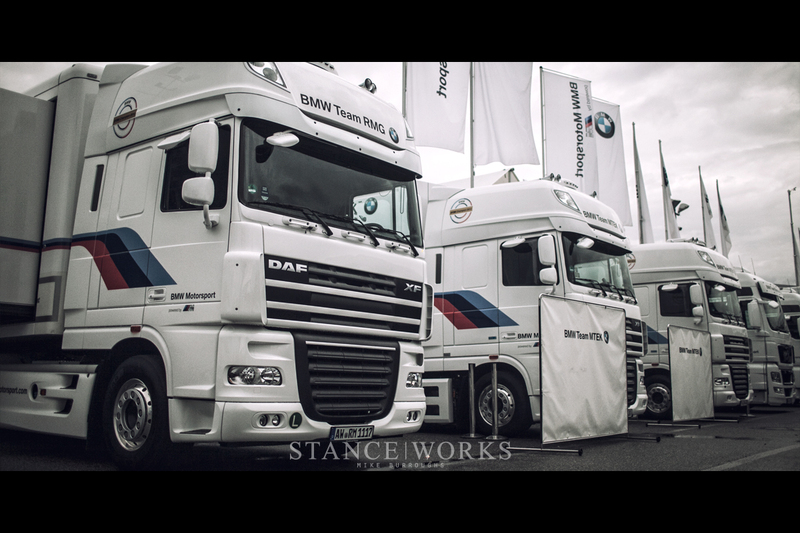 The paddock was evenly lined with an array of cab-over trucks, each one to support their team of cars, with an equally impressive pit and paddock setup in tow. 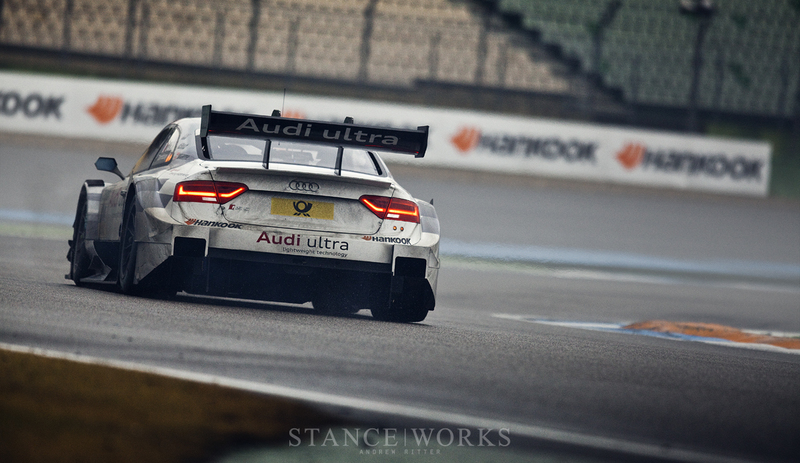 In the garages of Hockenheimring's pits, each car sat under stark white lighting. Each car's engine was explicitly covered, as was the suspension. I felt the secretive nature of racing more than I ever had. The clock continued to count down, and as the 15-minute mark approached, we made our way trackside. The rain let up, if only slightly, leaving us in the perfect gap between capturing perfect rainy photos and being miserably wet. German commentary streamed over the loudspeakers, and I readied my camera for what was about to be the pinnacle of my racing experiences thus far. I could hear the high-pitched high-revving V8s, long before I could see them, screaming all the way up to 9000RPM, only to be blipped down through the gears. In the distance, over the fencing and rails, a cloud of heavy mist rose from the ground, chasing the one-of-a-kind sound. 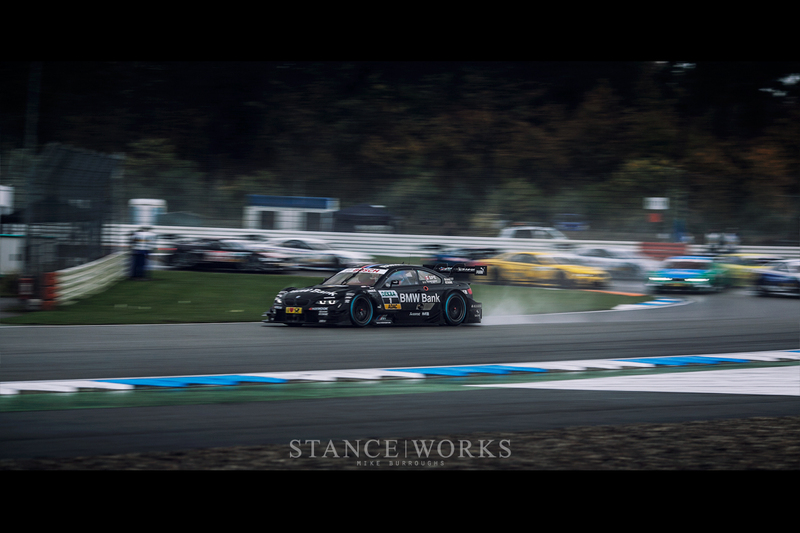 Louder and louder it grew, until 22 German racers all sprung from behind a K-rail and into a corner, Bruno Spengler in the BMW Bank frost-black M3 DTM leading the pack. 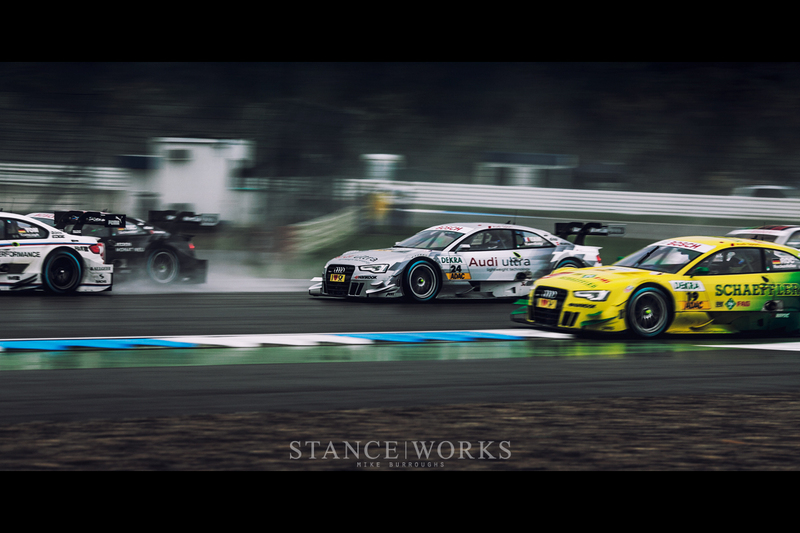 The racing was tight and vicious, unlike the touring car racing I have seen so many times back at home. 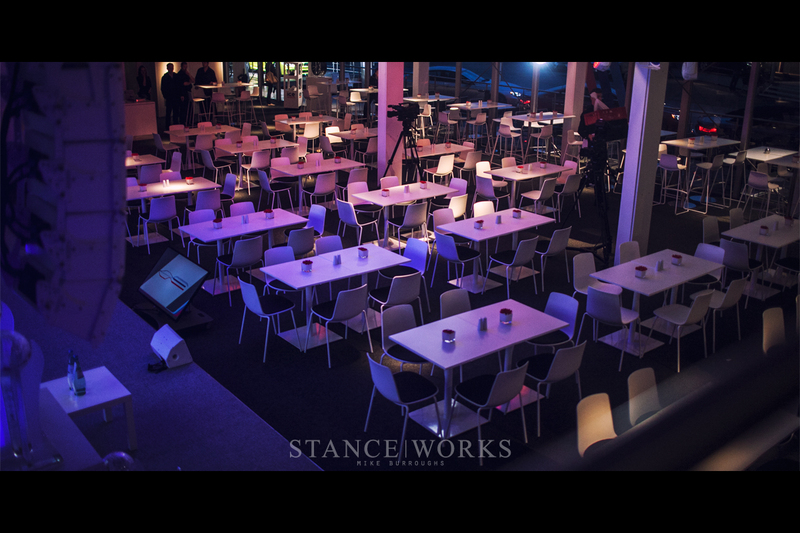 Sure, streaming video could have told me that many times prior, but seeing it in person was an experience all its own. Rooster tails towered above the RS5s, the C-Class AMGs, and the M3s. Fire belched from the door-exit exhaust pipes, and sparks scrambled to escape from under the car over each and every bump. Splitters, diffusers, and canards all turned to carbon-fiber shrapnel as cars bumped and bruised each other in the hunt for points. The savagery and ferocity DTM has always been known for certainly hasn't gone anywhere. Lap after lap, I watched, fingers crossed, hoping that BMW would secure the Manufacturers Championship. Their team - my team - had the chance for a repeat victory. By then, Petit Le Mans had long since ended, and despite our best efforts, victory escaped our grasp. Second place in each category is hard to beat for a car's opening year, but the M3 was certainly capable; however, was it capable of doing it again? I watched as Spengler lead the race for the first half, confident in his skills that he could bring our team home - and then he was passed. 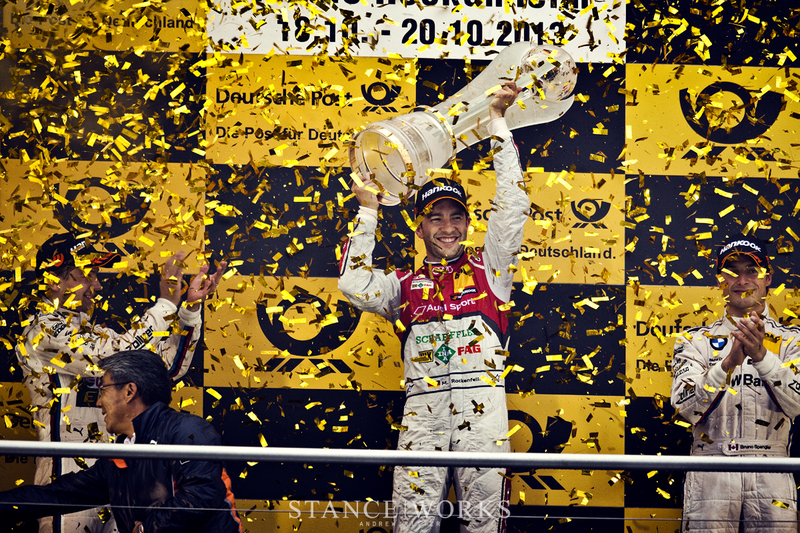 Timo Glock and the Deutsche Post M3 DTM took the lead, with Roberto Merhi and Bruno Spengler chasing in full force. And after just 41 laps, Glock passed the finish line to take home a first-place win for the last race of the season. Spengler followed suit in third. Andy Priaulx and Dirk Werner, in the Crowne Plaza and Samsung M3 DTMs respectively, positioned themselves in sixth and eighth, which scored the final points needed to take home the Manufacturers Championship. BMW ended the season with 369 points, just ahead of Audi with 347. Mercedes trailed in the distance with just 266. Champions, two years running: the perfect end to a saga I had once thought over. 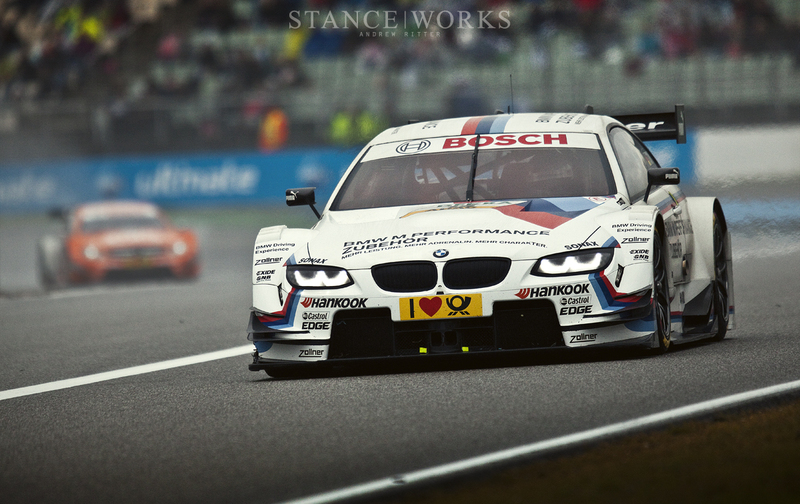 The M3 is finally done with DTM, and 2014 marks the dawn of something entirely new: The BMW M4. 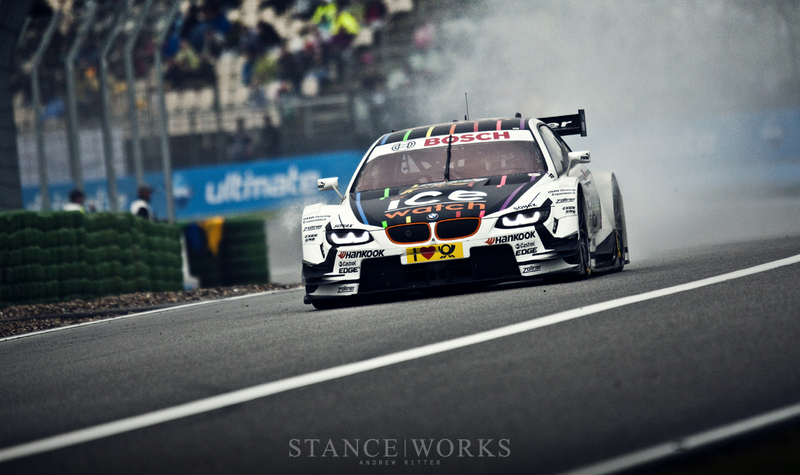 BMW's track record for DTM introductions stands above all others, and 2014 should prove no different. 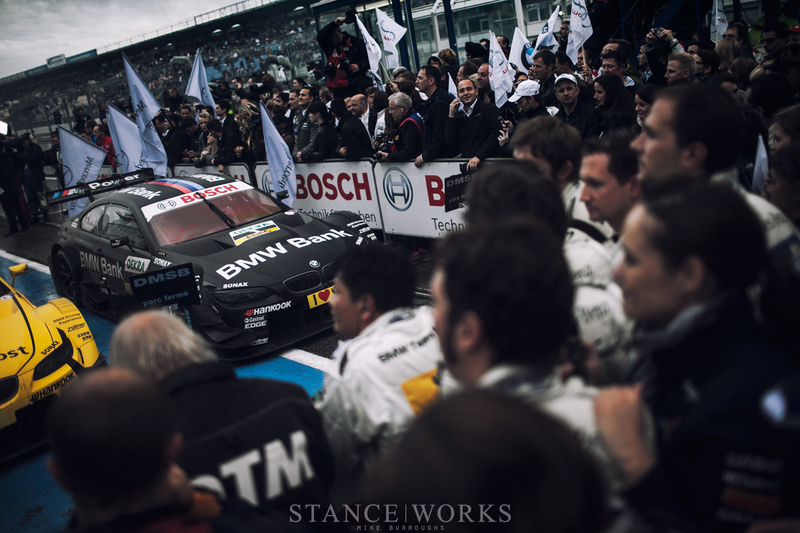 We're eager to be back to capture the dawn of the M4 DTM and the wake of motorsport history that follows. Awsome write up! Can you post theese pictures in wallpaper sizes (at least 1920×1080 or 1920×1200)? Car looks amazing. I love to collect the information regarding new technologies. Thanks for sharing and please continue to sharing this type of post. Wow! This is amazing. I am interest it. Its massages are known to soothe and heal the skin. It nourishes and hydrates dull, dry skin. It also improves the condition of oily skin.